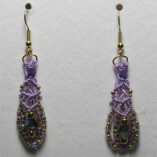 This is my first micro macrame earring design. 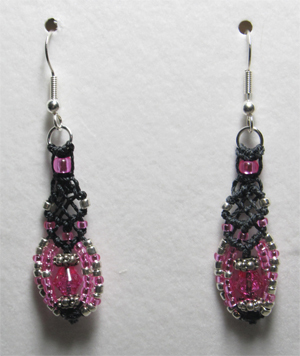 It’s an open weave and gleaming beads come together to create this lattice look earring that is just the right size. 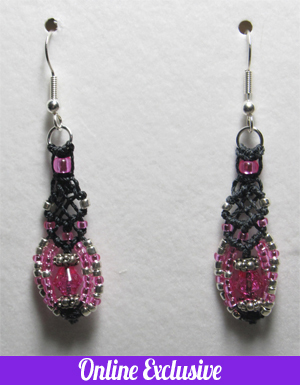 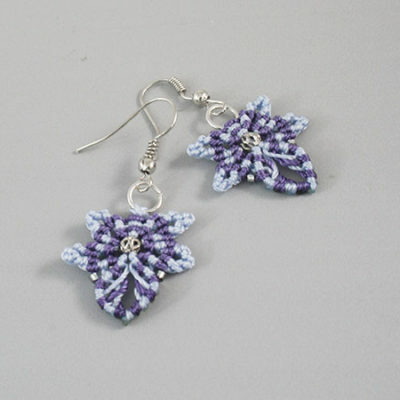 This fun design uses 3 types of micro macrame knots and can be finished with pierced or clip-on findings.